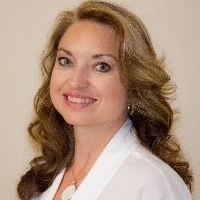 Printed from http://www.bodytalksystem.com//learn/news/article.cfm?id=885 on Apr 25, 2019. Have you ever wondered why the lymphatic system and its components appear four times in the BodyTalk Fundamentals chart? And, that there is a module devoted to its support? Did you know that if the lymphatic system stopped working that you would die in a mere 3 hours? Certainly gives you an idea why the health of this system could have a huge influence on your overall health and wellness. Did you realize that your body holds twice as much lymph as it does blood? Amazing! The lymphatic system could be your most powerful line of defense in that it clears the body of pathogen, toxicity, and waste while launching specific immune attacks and releasing customized antibodies into circulation in an effort to keep your internal environment clean, pure, and efficient. The BodyTalk system gives you multiple avenues of support when it comes to aiding the function of the lymphatic system. Just imagine what this could mean for a client suffering from allergies and intolerances, constant colds, joint pain, swelling, fatigue, and emotional overwhelm. Did you know that your lymphatic system can become congested with emotion? When you experience an emotion, the body releases a chemical not unlike a hormone. These chemicals can become stagnant or can build up in your tissues. The lymphatic system plays an important role in helping to clear this very specific form of toxicity from your system. Understanding this relationship will help to give clarity as to why a lymphatic balance could be defined by an emotion! The lymphatic system is a secondary support system to your incredibly vast circulatory system. Did you know that if you were to line up each of your blood vessels end to end you would be able to circle the earth twice? Hard to even imagine, isn't it? That's 60,000 miles of blood vessels! Each day, your heart pumps over 2,000 gallons of blood supplying every one of your 50 trillion cells with oxygen, nutrition, immune cells, information, memory, and energy. The movement of blood is essential not only to the function of every one of your cells but also for the healing, repair, and production of cellular products. In the hierarchy of healing, the movement of blood reigns supreme. Did you know that supporting and stimulating blood flow also influences the flow of qi? In fact, you cannot separate one from the other. Therefore, balancing blood supply also stimulates energy flow and supports the constant communication within the body. The BodyTalk system gives us a powerful way to support the movement of blood but also to allow for an understanding of the significance of what may keep this life-giving substance from flowing with ease. Aspects of self-nurturing can play a huge role in your body's ability to get what it needs. Are you allowing yourself to be nurtured? Are you getting what you need? As the mind influences the blood, the nervous system and circulatory system are like supportive partners in the health and function of the body. One cannot function without the other. Did you know that there are more nerve cells in the human brain than there are stars in the Milky Way? Did you realize that if we lined up all the neurons in your body that it would reach 660 miles in length? There are approximately 13,500,000 neurons in the human spinal cord. Incredible! The lines of communication within the nervous system are very quick. It has the ability of transmitting impulses at the speed of 100 meters per second. The speed of message transmission to the brain can be as high as 180 miles per hour! Stress can be a major influence in the functioning of the nervous system as can many disease processes that attack this central communication system. BodyTalk gives us some amazing tools to take the nervous system out of fight/flight and to raise our stress threshold so that it doesn't act so quickly in the presence of perceived threat. You also have an incredible tool to support these very specific lines of communication to improve the flow of information travelling from the brain and spinal cord to each one of your cells as well as improving the messages from the cells to the brain. Imagine what influence that can have on the functioning of an organ, endocrine, or body part that has gone "offline". Balancing nerve supply to, from, or within a body part is like finally figuring out what cords go where in the back of the tv! Finally, we have a picture and sound! Imagine what effect that has on a cell, tissue, organ or muscle that has become unplugged! Join us for an exciting Fundamentals Study Group on these three vital systems to health, wellness, repair, and optimum function: Lymph, Circulation, and Nerve Supply. You will be amazed and excited by the deeper understanding that you will be able to bring to your sessions. Can't wait to see you there! 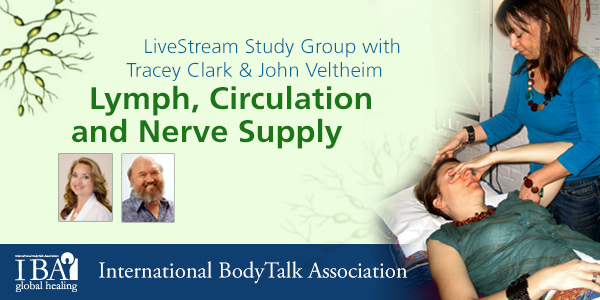 Study Group 3: John Veltheim & Tracey Clark, 12 June 2014.